Canada Goose poop on your shoes or blood on your hands? Plus Cost of Freedom, and Lost Dogs. 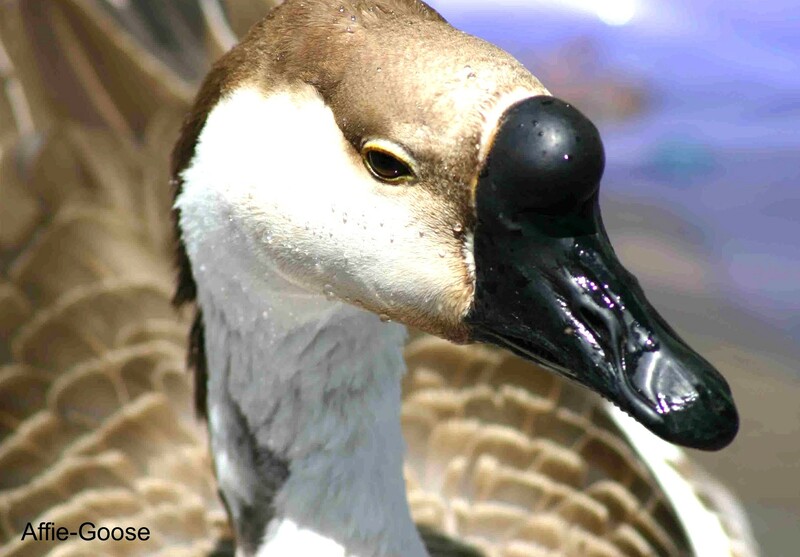 We talk with local naturalist and wildlife conservationist Marilyn Miller, of Miller Conservation Consulting, about the lethal methods of Canada Goose population control that were used last year by Bend Park and Recreation District. Marilyn discusses ways to reduce the resident population without resorting to killing more geese, and explains why killing geese is never going to resolve the poop problem in our city parks. She has been working with the local citizen’s group Goose Watch Alliance, to stop another gassing of Canada Geese this summer in Drake Park. Contact Marilyn. Did you know that 10 non-target species are trapped for every targeted species? Most of these animals are maimed or fatally wounded. Documentary filmmaker Vanessa Schulz shares this and other disturbing facts with us about the trapping industry. We discuss the government agency, Wildlife Services (formerly Animal Damage Control), an agency with the primary purpose of killing 4 million wild animals a year with taxpayer dollars on public lands. Vanessa also gives us an update on her film in progress, “Lost Dogs,” which uncovers the epidemic problem of Chile’s homeless pet population and explores the extraordinary lives of street dogs and the activists who risk everything they have to protect the dogs. In this episode, we air Part 2 of our interview with Vanessa. Part 1 aired May 12. After attending film school in South Africa, Vanessa immigrated to the United States and began working as producer and cameraman for NBC, Fox, National Geographic and Discovery Channel. She was Assistant Producer on Discovery’s two-time Emmy award-winning “Wolves at our Door.” Frustrated with mainstream media’s reluctance to air contentious and truthful subject matter, Vanessa created the non-profit 21st Paradigm. In addition to 24 official film festival selections, Vanessa is the recipient of twelve awards, including Best of Festival and Best Documentary awards. Her most successful film, “Cost of Freedom,” is an exposé about wolf reintroduction and the gross exploitation of wildlife by powerful right-wing political factions. Her films and related campaigns, in particular “Cull of the Wild: The Truth behind Trapping,” have made significant contributions in the legal struggle to protect animals. With “Lost Dogs,” her fifth independent film, Vanessa continues to give voice to the animals she seeks to protect. Kebaba Modern Middle Eastern Foods. Kebaba offers many vegan items on their menu. The Curried Lentil soup is vegan, as are the Hummous, Babaganouj, and Karnabeet appetizers, Zataar fries, freshly made warm Pita, Zataar Manakeesh, and Curried Tempeh, Falafel, and Veggie Wrap sandwiches. The Turmeric Spiced Tempeh entree (vegan, of course) is made with Hood River soy tempeh, cauliflower, and bell peppers simmered in a yellow curry and coconut sauce. Kebaba offers several of their items in stores as well, including Bedouin Xtra-hot Salsa, Traditional Hummous, and Eggplant Babaganouj. Kebaba is open 7 days a week and is located on Newport Avenue in Bend. Ask a Vegan table, Whole Foods, 4-8p, June 20. Sample recipes from The Engine 2 Diet by Rip Esselstyn and sign up for Rip’s 28-day challenge in August, offered through a partnership with Whole Foods and VegNet Bend. VegNet Bend monthly potluck, 6p, May 25, The Environmental Center, 16 NW Kansas, Bend. Bring a vegan dish, your recipe, and a place setting. Presentation by Chimps, Inc. For more information, see VegNet Bend on Facebook or vegnetbend.org. Bend Park & Recreation District Park Board Meeting, 7p, June 21, District Office, 799 SW Columbia Street, Bend, OR 97702. 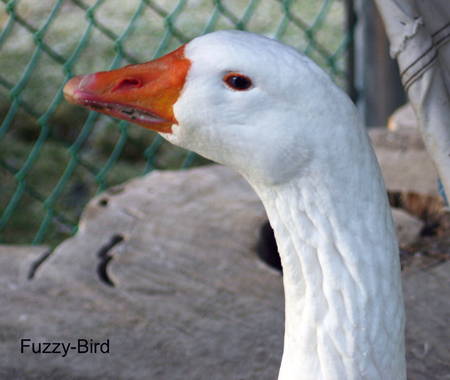 For more information, please see Uncle Goose on Facebook or Goose Watch Alliance.